I reviewed this book back when I started up this blog, and thought that it was about time that it featured in a Cover VS Cover war. This week it's not the UK vs the US. It's the hardback edition, versus the paperback edition. I adore the hardback cover. It's the one that I own and it just looks amazing. The colour. The angel itself. The font used for the title. The mystery and eeriness of it. It's just perfect. It kind of makes me think of a cold winter night, the colour of it. Dusk on a misty December day. I know it sounds weird but that's the image it conjures. The paperback, it just as nice. But there's just something about it that doesn't appeal to me and I can't put my finger on why. It's got the same font which I love. But the angel just doesn't feel right. 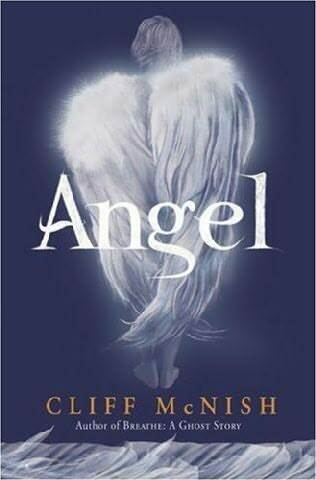 I know the story is dark, and it's referring to the dark angel, but for me it makes it too clear, while the hardback cover is somewhat misleading which I like. So this week, I have to go with the hardback! What about you? Which do you prefer? I like the design of the hardback but we can see the title and gorgeous font on the paperback better! I also like how the building is illuminated by the sun. I think I prefer the paperback!! Ooh. Tough one. I think I'd have to go with the hardback, though I think the paperback is quite pretty as well. The colours are amazing.